The oldest restaurant in all of Michigan! 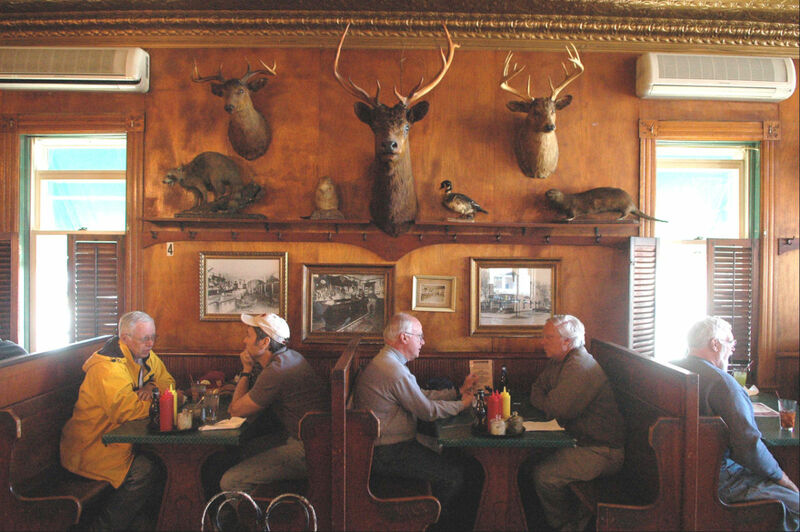 Located in historic Slabtown, this 136-year-old Traverse City classic has casual, family style dining featuring burgers, steaks, fish, Mexican, and the longest mahogany bar in town. Come smooch the moose! Monday-Thursday, 11 AM-9 PM, Friday and Saturday, 11 AM-10 PM, and Sunday noon-9 PM. Lunch and dinner, $5.95-$21.95.